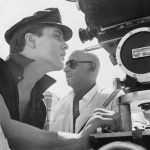 When Girl Happy was just a few days into production Ann- Margret came to visit Elvis on the set. We were filming all night on the back lot of MGM, famous for many classic movies going back to the golden era of Hollywood. They’d met a year before when she costarred with him in Viva Las Vegas. The attraction between them was instantaneous, and Elvis was deeply infatuated. Gossip had it that things between them were serious, and though Elvis dismissed the stories as studio publicity, they were true. Priscilla made her displeasure known to Elvis, and though he pleaded his innocence, she really didn’t buy it. Neither did anyone else who knew him. It was around eleven o’clock at night when Ann-Margret walked onto the back lot, and all eyes where glued to her. She stood back watching Elvis finishing his scene. 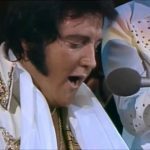 When Elvis first saw her he lighted up like an incandescent light. He immediately walked over to her, they hugged, and then he took her by the hand and motioned me to follow them. We entered Elvis’ tiny, cramped trailer dressing room with barely enough space for two people, let alone three. Elvis seated himself at a small table in front of a mirror lined with light bulbs so I could do his hair. 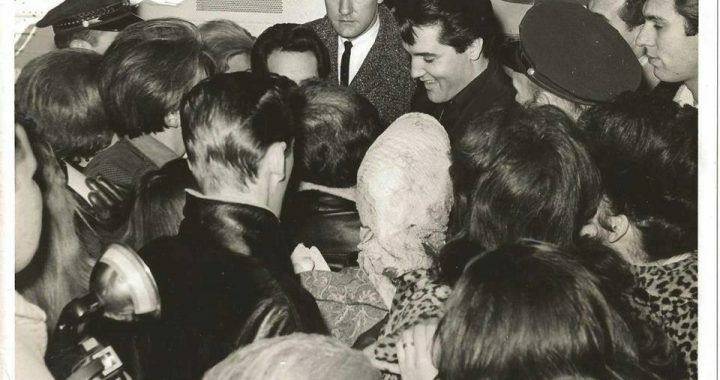 Taking care of Elvis’ hair on this occasion was certainly different for me that night. As always my first obligation was to make certain Elvis’ hair looked perfect, camera ready for his next scene. But this time I was so engrossed in the interchange between them, the room was buzzing with electricity, their emotions were flying in all directions. Each time they looked at one another their self-consciousness and magnetic attraction were so obvious and transparent. My main dilemma was to do the task at hand despite that the quarters were so tight and confined. 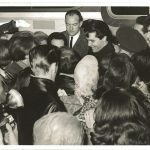 There I was, standing between them, brushing Elvis’ hair; with Ann-Margret body squashed next to mine. It was a blessing and curse. You can’t imagine just how awkward I felt. They seemed to have all the elements for an enduring relationship, but Elvis confided that she intimidated him. A serious woman, Ann-Margret wanted a definite commitment from Elvis. She had her own career, which she wasn’t about to throw off for anyone, and, more important, she was independent and wouldn’t take orders. Few woman Elvis became involved with had that kind of resolve and sense of self, at least initially. With a few significant exceptions Elvis never lacked for women willing to oblige him. Ann-Margret wasn’t that type, and Elvis recognized that he’d never exert the control over her that he had then over Priscilla. It inevitably came down to a choice between Priscilla, someone Elvis believed he could sequester a couple of thousand miles away whenever he wanted to enjoy his “freedom,” and Ann-Margret, who challenged him, if only because her life didn’t revolve around his. It was a challenge he never rose to with any woman, which is unfortunate. In the wilds of Hollywood Elvis’ attitudes towards women were almost quaint. He eschewed promiscuity, although he had certainly gone through some wild periods.